Expanding on the foundation sets that have made Bob Books such a success, My First Bob Books is a brand new series introducing Bob Books' proven teaching tools to children who aren't quite ready for Bob Books - Set 1.
in My First Bob Books - Alphabet, familiar animal friends progressively introduce the 26 letters of the alphabet. Engaging, read-aloud stories inspire and motivate your child, while proven teaching principles inspire success. 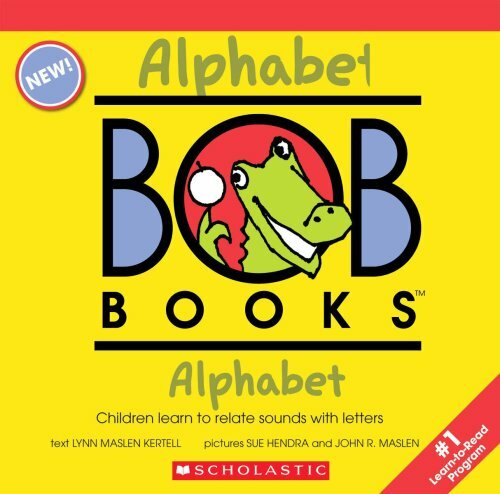 Your child will prepare for the magic of reading as My First Bob Books - Alphabet helps them learn the names of the letters, and which sounds they represent.